The Super Bowl matchup is set and following the game the 2015 NFL season will be no more. Rather than mourning the end of the season, use this time wisely to hone your strategy for next season. The league is being dominated by wide receivers and many of them are very young. Multiple rookies made a mark this year and a few others showed enough to draw some interest in the 2016 fantasy draft. 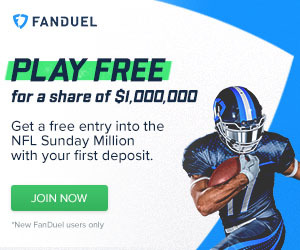 Some players seem like a no brainer, but it never hurts to take a second look and be sure that your picks are used wisely. In this column, we will take a look at the wide receivers entering their second season and discuss their prospects for the immediate future. Amari Cooper should be a top flight wideout in 2016. Amari Cooper was, without a doubt, the gem of the 2015 draft from a wide receiver standpoint. With decent size and incredible athletic gifts, Cooper was seen as a surefire stud right out of the gate. This proved to be true as Cooper surpassed 1000 yards receiving and (along with Michael Crabtree) brought life to a previously boring Raiders offense. Cooper and quarterback Derek Carr are both budding stars and the future looks very bright for the pair. I think that the sky is the limit for the 2016 season and Cooper should be going off the board among the top 8 to 10 wide receivers. Green-Beckham may be the most physically gifted of the 2015 rookie class. At 6’5” and almost 240 lbs he has the size of a tight end, but he also possesses impressive top-end speed. Add in world class leaping skills and you have the makings of an elite wide receiver. Green-Beckham also entered the league very raw and with a rookie quarterback at the helm of his team. Seen as a bit of a project, he actually may be ahead of the curve in terms of production. While I do not see him setting the world on fire next season, he will certainly have some big games. He will be worth a roster spot in almost all leagues and against weak secondaries he carries the potential for tremendous production. 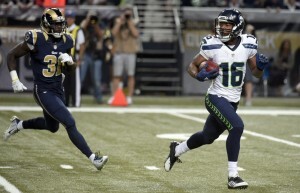 Lockett is amazingly talented, but his upside is capped by lack of opportunities. Lockett is part of a run-first offense, but he was able to shine in spots as the top running backs went down. While he is not impressive in stature, Lockett has the speed and moves to make defenders miss. It is difficult to forecast the roles of receivers on the Seahawks (just ask anyone who drafted Jimmy Graham last season). This leaves the value of Lockett a bit up in the air, but his ability is beyond question. Doug Baldwin is the top option in this passing game, but he is getting older and Lockett will likely take a step forward in 2016. I would just be cautious of the ‘hawks returning to their ground and pound ways. Lockett carries some risk heading into next season. I lump White and Perriman together despite their different situations because we just don’t know with them. They battled injuries for their entire rookie seasons despite the hype surrounding each of them. Two potential game breakers who did not play a game are very difficult to quantify. I would lean toward Perriman if I had to choose one because he is likely to be “the man” in Baltimore quickly. White will have to contend with Alshon Jeffery for touches for the foreseeable future. Watch the way that both players rehab, this could be the deciding factor come draft time. Just do not overdraft; for all intents and purposes these guys are both still rookies. 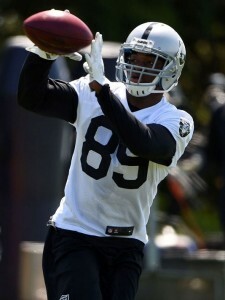 Be sure to check in later for the second half of the second year wide receiver preview!